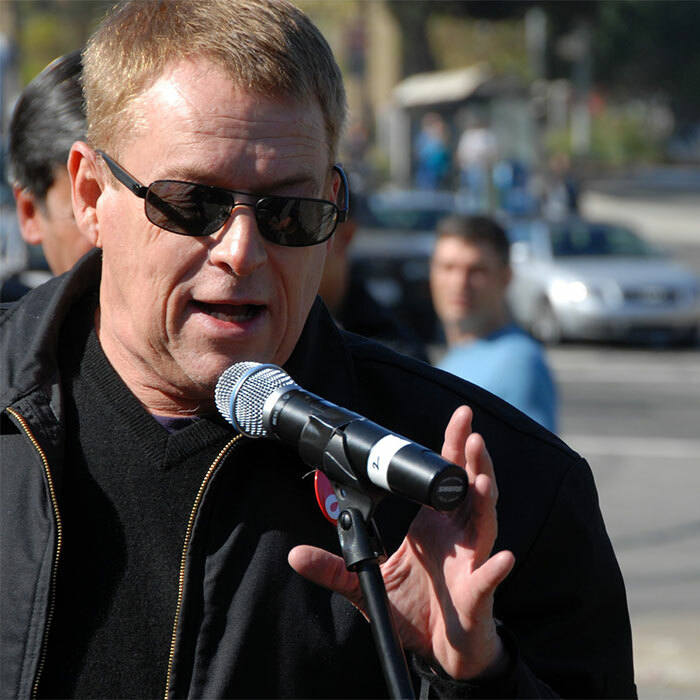 Meet Cleve Jones, whose San Francisco neighborhood was ground zero for the AIDS epidemic. 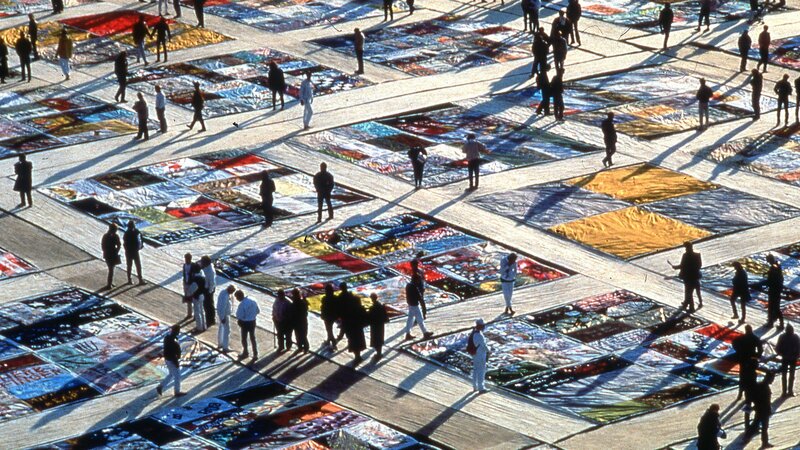 His unorthodox idea for a massive quilt would not only honor the epidemic’s victims but also serve as a rallying cry for activists advocating for national attention to the plague. When Cleve Jones was a teenager growing up in Indiana and then Arizona, he internalized what he believed society had taught him about homosexuality: that being gay was shameful and that the lives of gay men didn’t amount to much. And then he came across a 1964 copy of Life Magazine, with an in-depth feature on how and why the Bay Area had become the “gay capital” of the U.S. For the first time, he realized that he wasn’t alone. Jones flushed the pills down the toilet and hitchhiked to San Francisco. In doing so, he put himself at the epicenter of the gay rights movement in the ‘70s – and, unfortunately, the AIDS crisis that followed. His work to honor and celebrate the lives lost during that crisis broke not only every rule of monument building, it changed the way America experienced the AIDS tragedy and helped fuel an ongoing movement for LGBTQ rights throughout the country. Jones says that being a gay man in San Francisco in the 1970s was exhilarating. He made friends quickly, studied political science at San Francisco State University, and got deeply involved in political activism. He became friends with gay-rights leader Harvey Milk, who would become Jones’s mentor and the first openly gay elected official in California. Jones interned in Milk’s office until Milk was assassinated in 1978 and, afterwards, carried on his struggle for gay rights. But the nature and urgency of that work would soon shift dramatically. In 1981, while working as a consultant to the health committee in the California State Assembly, he read a Morbidity and Mortality Weekly Report from the Centers for Disease Control that sent a chill down his spine. It described a cluster of homosexual men in Los Angeles with rare illnesses: Pneumocystis pneumonia and Kaposi's sarcoma. Jones thought of friends who had also recently been diagnosed with strange illnesses, one after another. He didn’t know it at the time, but over the next two years, his community would become ground zero for the AIDS epidemic. And there would be no end in sight. In 1983, he co-founded what would become the San Francisco AIDS Foundation in an attempt to coordinate services for the many friends and neighbors who had fallen ill with the virus. But outside the six-block radius around his home, the world seemed indifferent to what many then characterized as a “gay disease.” There seemed to be little interest in understanding the disease or finding a cure. 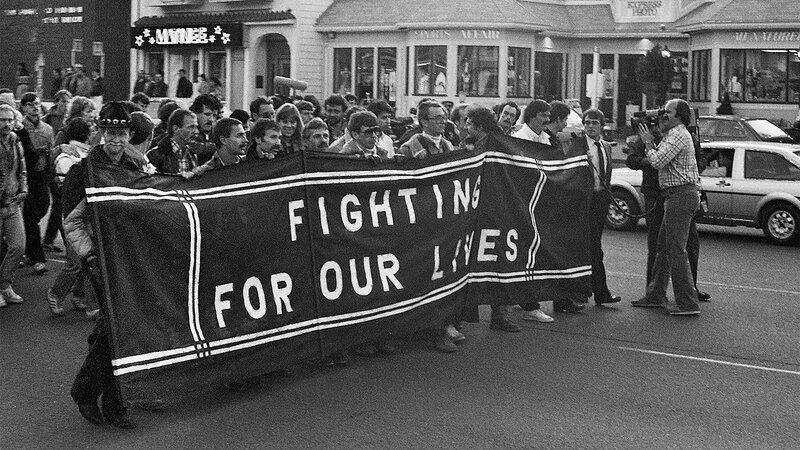 In late 1985, while organizing the annual vigil for Harvey Milk, he read that the death toll in San Francisco had reached 1,000. “I remember saying to my friend, ‘You know, if this was a meadow with a thousand corpses rotting in the sun, then people would see it, they would understand it, and if they were human beings, they would be compelled to respond,’” said Jones. He decided that at the vigil, they would remember not just Milk (and Mayor George Moscone, killed alongside him), but all of those lost to AIDS in those intervening years. He went to the vigil armed with Milk’s old bullhorn, stacks of lightweight cardboard placards, and bags of magic markers. 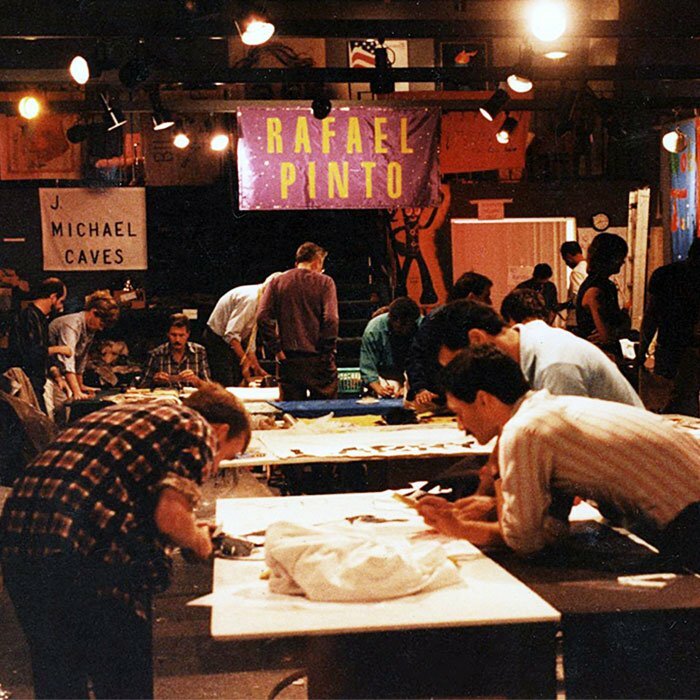 He asked everyone there to write the names of their friends, lovers, and colleagues killed by AIDS. At first, people were reluctant. Several simply scribbled initials on the cards. When they reached the San Francisco Federal Building at UN Plaza, they covered its grey stone façade with a patchwork of victims’ names. Jones thought of his great-grandmother in Bee Ridge, Indiana, and the quilt she sewed for him when he was a child, made with remnants of his grandfather’s old clothes. He imagined a similar patchwork quilt of names, covering the National Mall in Washington, D.C.
“I thought, ‘That’s it’,” he said. He told his friends about his idea. But they were less than inspired. Life soon became more complicated for Jones. An HIV antibody test became publicly available in 1985, and Jones tested positive. He went public with his diagnosis on 60 Minutes and began receiving death threats. One of those threats materialized, and he was brutally attacked. And then his best friend, Marvin Feldman, died of AIDS. But rather than retreating, he wanted to sound an alarm. He and his friend Joseph began sewing. Neither of them was particularly good at it, but they did their best. They made a list of forty people who they had loved and lost to AIDS, starting with Marvin. They made individual quilts, roughly the size of a coffin, for each of their loved ones. Then they sewed them together into blocks. 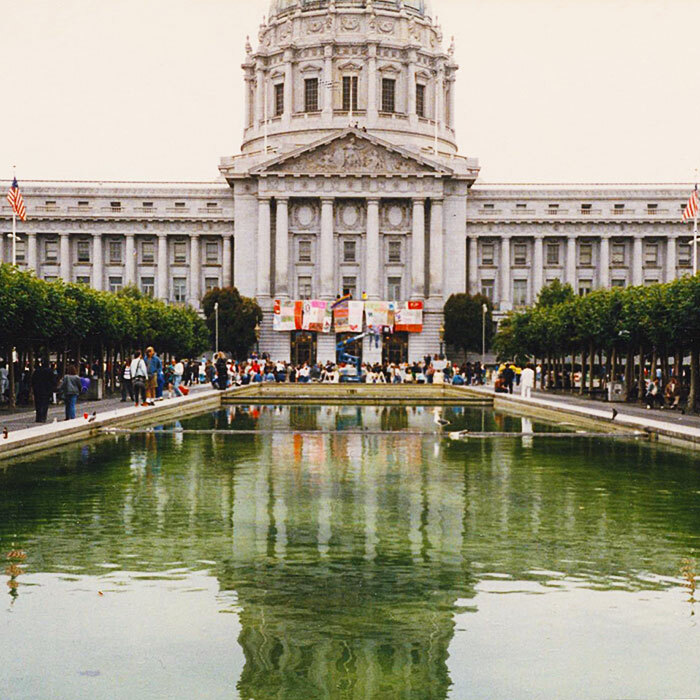 During the Lesbian and Gay Pride Parade in June 1987, they hung their quilts from the mayor’s balcony at San Francisco City Hall. “Finally people could see it,” said Jones. He quickly gained the support of his community. The numbers had been transformed into people who were loved, people with names. Jones and some friends formally organized the NAMES Project Foundation. They secured a storefront workshop on Market Street. 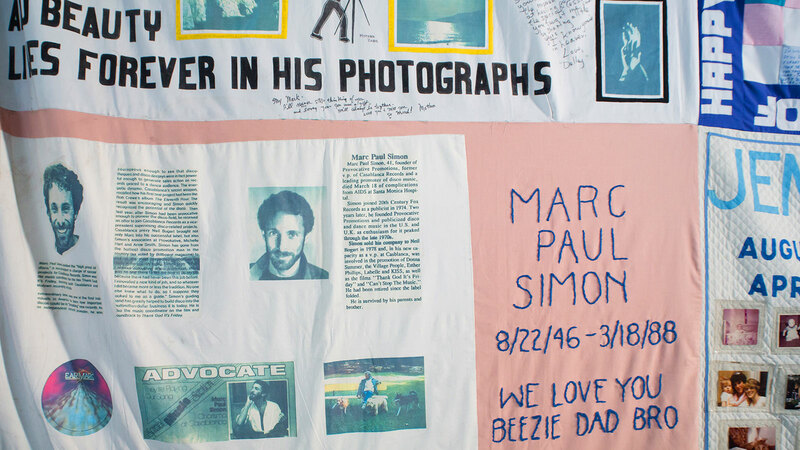 He had a specific set of goals: to convey the enormity of the AIDS crisis and the human toll it was taking, to get media attention, and to demand funding for research and services. For a period of time, every day when Jones would open the mail, he’d find incredible, colorful panels sent from all over the country. “People were willing to share the most intimate memories but also the most intimate objects – diplomas, military medals, wedding rings…Cremation ashes were sewn into them. It was really remarkable that people would do that,” he said. 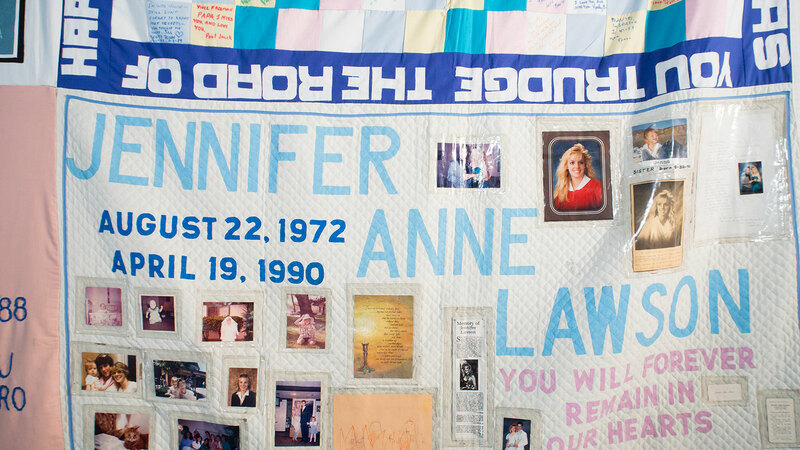 Sewing panels became a way for survivors throughout the country to honor their dead and to channel their grief into something positive and proactive. Some of the panels were sewn by the dying who either wanted to make their own or didn’t have anyone left to do it for them. On October 11, 1987, just eight months after he began sewing, Cleve Jones’s vision became a reality. 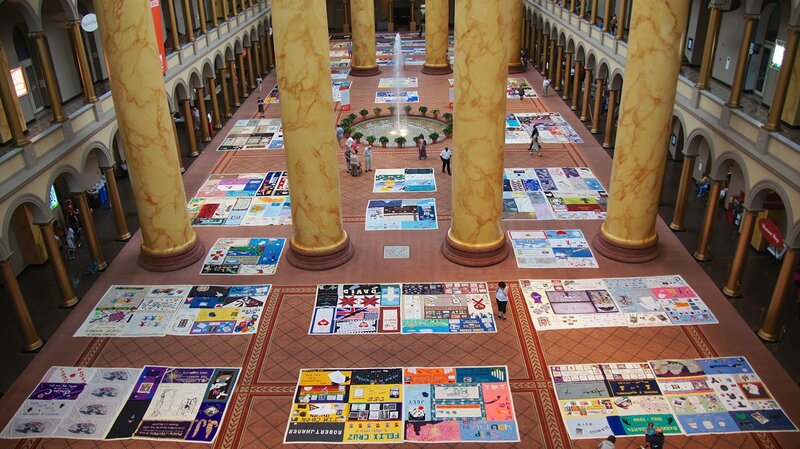 He took the quilt – with 1,929 panels – to Washington, D.C. for the National March for Lesbian and Gay Rights. 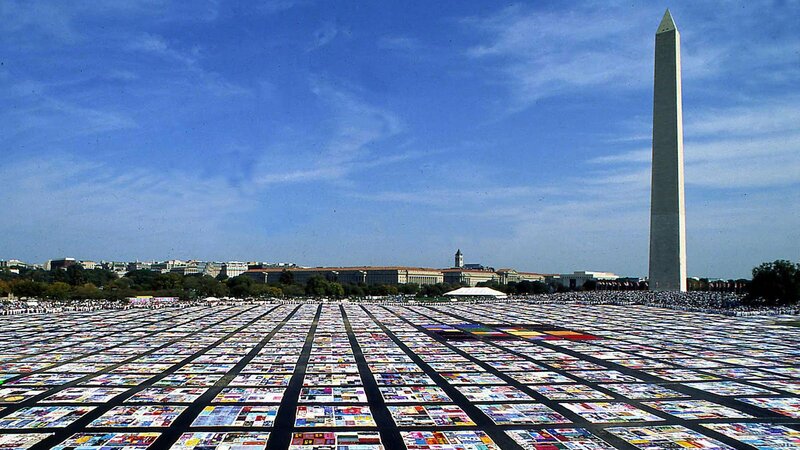 As media coverage spread awareness of the project, people in towns and cities throughout the country began wanting to host what became known as the AIDS Memorial Quilt. So they hit the road the next spring. 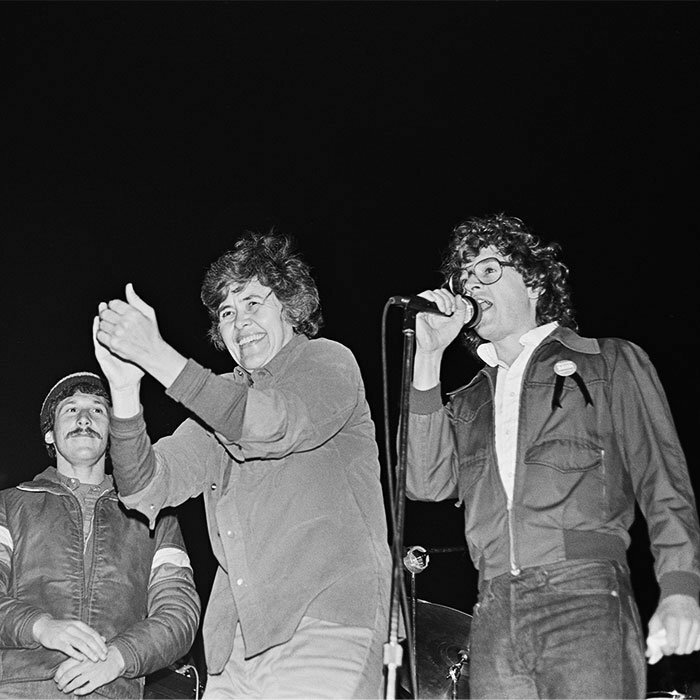 Jones and his colleagues traveled to 20 cities that year, adding new panels at each stop and raising nearly $500,000 for AIDS service organizations. “Everywhere we went, total strangers sheltered us and fed us and took care of us, hugged us when we were crying,” said Jones. “There needed to be an outlet, a way to express a grief, a way to connect our individual experiences, our families’ experiences, our neighborhoods’ experiences in a way that had beauty and power, and it worked,” he said. 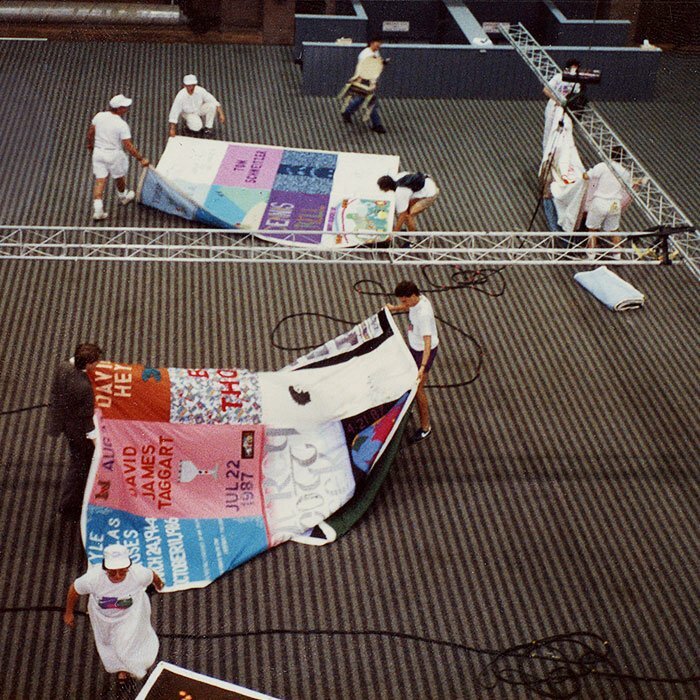 By the end of the summer of 1989, the quilt had tripled in size. It was also starting a long-overdue, national conversation about AIDS. However, without access to life-saving drugs, which were still in the early stages of development, the disease began taking its toll on Jones. He began getting sick towards the end of 1992, and in the summer of 1994, he contracted Pneumocystis pneumonia. “The movement saved my life, and that’s not hyperbole,” he said. 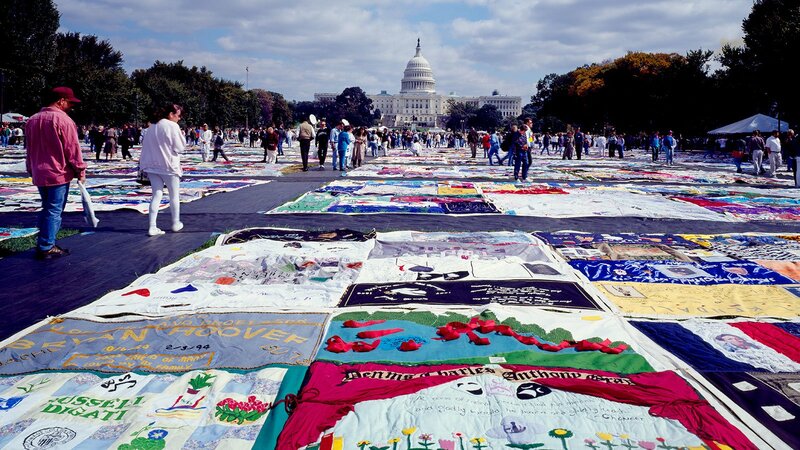 In 1996, when the quilt returned to Washington in what had become an annual ritual, he was healthy enough to go alongside it. President Bill Clinton and First Lady Hillary Rodham Clinton became the only First Couple to visit the quilt, and when they did, Jones personally implored them to accelerate research and make the experimental drugs more widely available. Today, at 62, Jones says he’s healthy, strong, in love, and continuing to fight for greater access to AIDS drugs, as well as several other progressive causes.